The local property market will see some slowing on the back of surprise cooling measures though a crash is unlikely, said the top executives from some of Singapore’s biggest developers. However, the chief financial officers of GuocoLand Group and CapitaLand Group differed on whether the Government’s latest step, which involved tweaks to Additional Buyer’s Stamp Duty (ABSD) rates for both buyers and developers, was necessary. Both CFOs were speaking at a panel discussion on Thursday (Jul 12) organised by OCBC as part of the bank’s Global Treasury Economic and Business Forum 2018. The session on trends and future of the real estate sector also had Mapletree Investments Group CFO Wong Mun Hoong, and was moderated by International Property Advisor’s CEO Ku Swee Yong. When asked if the 5-percentage-point rise in ABSD for citizens and permanent residents (PRs) buying second and subsequent homes would deter buyers and trigger a crash in the market, the executives agreed that “crash is too strong a word” and it would be an unlikely scenario. He reckoned that the latest slew of property curbs will have a similar effect though he was quick to add that the impact could be felt differently across different segments of the residential market. While locals buying their first homes in the mass market segment could be little swayed by the ABSD hike, the high-end segment might be in for an initial “hold back to wait and see” reaction from investors. This is because most of them would be foreign buyers facing a higher ABSD rate of 20 per cent following the rule change on Jul 6, explained Mr Lai. Still, it could be a “temporal” effect given the many factors that sway foreign investors’ appetite for property in Singapore, he added. 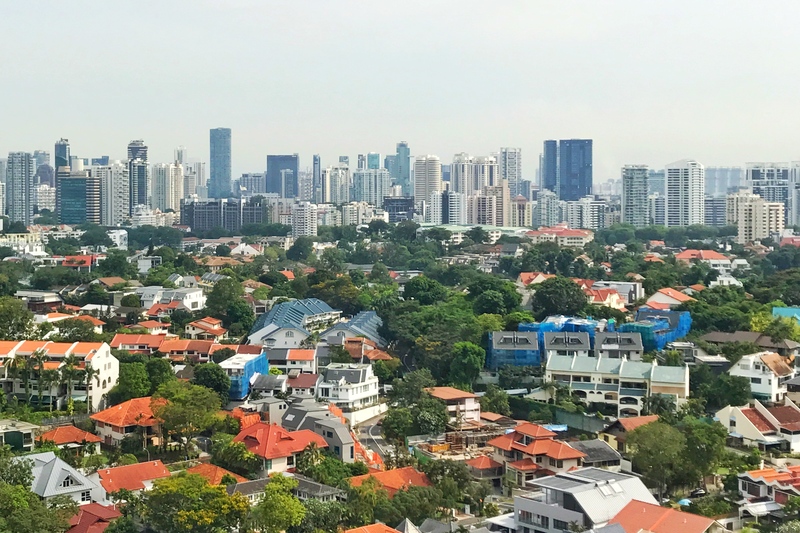 For one, the country’s status as a gateway city and merits like market transparency, mean that Singapore properties will continue to receive a fair share of interest from abroad. Meanwhile, the recent trend of capital flows back into the United States and other developed economies could be key. “I think (the capital flight) will have a greater longer-term implication than the ABSD rule, which I think will have a definite impact but a temporal one,” said Mr Lai. Echoing that, CapitaLand’s Group CFO Andrew Lim said “the word ‘crash’ is too strong”. But he described the recent housing curbs as a “fair” reaction from the Government given how the cooling of private property prices over a four-year period via the previous measures was “wiped out” in a short period. Prices of private housing increased by 9.1 per cent since the trough in the second quarter of 2017, mostly offsetting the cumulative price decline of 11.6 per cent during the four-year period between mid-2013 and mid-2017. “So I would say we are an architect of our own situation. The regulators have seen this threat and are trying to nip it in the bud in its infancy,” said Mr Lim. He added that given how speculative demand “would rightly cause concerns”, the Government was making an early attempt “to manage what they believe or perceive to be an increase in speculation” in the local residential market. “On that basis, I suppose the reactions are a fair one,” Mr Lim added. But his counterpart, Mr Lai, disagreed. Using the en bloc market as an example, the GuocoLand executive said more collective sale bids have closed without concluding a sale recently, alongside “some plateauing” in developers’ land price bids. He added that the run-up in prices for certain sites may have raised concern but “a lot of that was more to do with pent-up demand from developers running out of inventory”. That boils down to years of insufficient land supply. The Real Estate Developers’ Association of Singapore (REDAS) said in a Jul 6 statement that there is no rationale for the latest cooling measures as the property market “is in the early stages of a recovery” in line with economic fundamentals. Analysts expect the buoyant en bloc market to take a hit given how the new curbs, including a non-remissible five per cent ABSD when developers purchase en bloc properties for redevelopment, raise land acquisition costs. This will, in turn, reduce the bullishness of tender bids. Buying demand will also be hit by the hike in ABSD rates and tightened loan-to-value (LTV) limits, analysts said. Moving forward, GuocoLand’s Mr Lai said demand for collective sale sites will depend on location and having the “right product”.